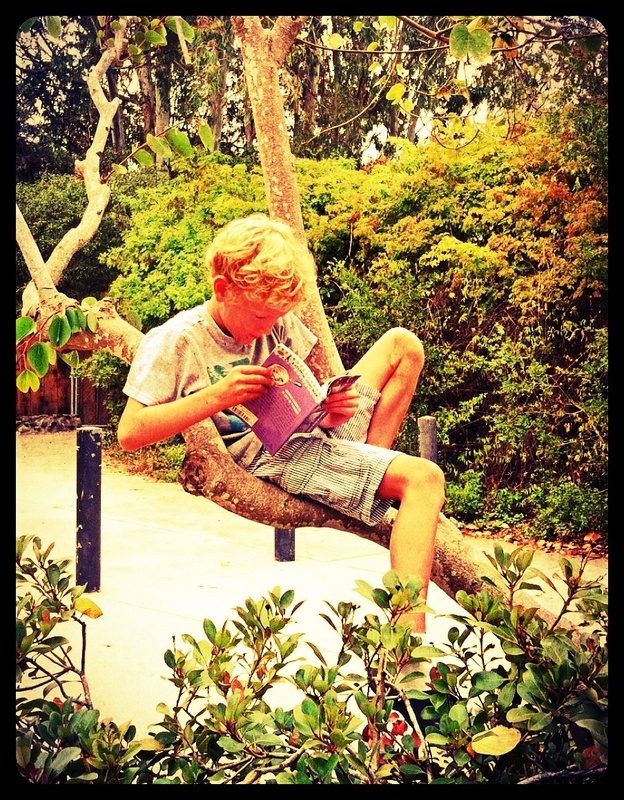 Climbing a tree….one of the passages into childhood…. No longer allowed at schools…..sad! 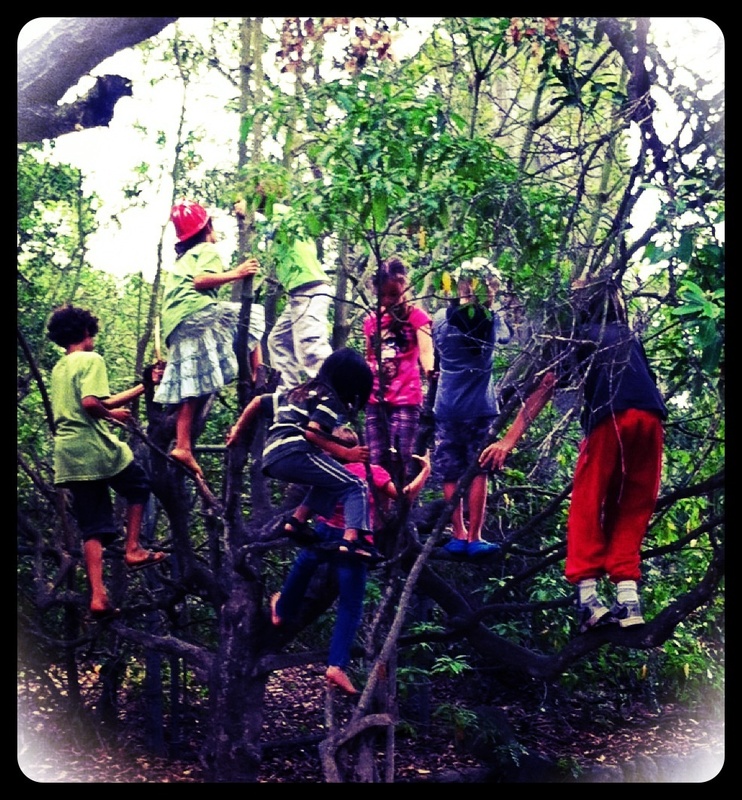 I really want to rant and rave about the need for tree climbing in our children’s lives. How the element of danger is necessary in the developmental process and how we as a society have removed nearly all degrees of danger (& nature) from our children’s natural play. When my son was a toddler and we were heavily involved with a moms group. The other mothers would see him toddle off and start climbing. They would inform me, as if I’m not watching my own child. “He’s going to fall!! !” they would announce it in a panicked voice. One of the other mothers said to me during group, I can’t believe your busy son has never been to the emergency room when my sweet docile daughter has been three times already. The truth is her sweet docile daughter never had the chance to experience danger. She never had any “safe danger” to play with. She had no idea that life could be dangerous. It must be a safe situation, no one was hollering “stop you’ll get hurt!” So when opportunities came up and no one was looking (aka hovering) she would go about her normal developmental path and voila danger would arise, but she had no clue danger was there. We as a society are so preoccupied with making the world a safer place for our children (which sounds nice) we are not realizing the consequences. 2) We are not outside in nature enough climbing, jumping, running, etc…Our children are becoming oblivious to outside sounds as well as sounds of danger and their intuition skills. 3) We are creating “overly worried” children. Worried about irrational fears, because they are told constantly don’t do this, don’t do that, this is dangerous, that is dangerous, don’t touch that, it’s dirty, it has germs, but they aren’t fully sure what they are supposed to do, or what real danger is, they only know its out there lurking in every corner, waiting to get them and it must be something bad….really really bad! Now that I am involved in a homeschooling group, instead of the hover mama club, I see lots of tree climbing, free happy kids developing not only physical abilities but loads of brain power. So I plead with you, get out into nature and let your kids climb trees!